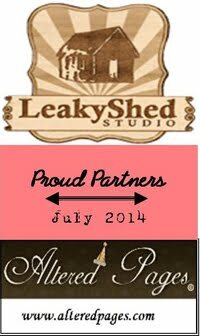 Leaky Shed Studio: Happy Holidays! If you haven't had a chance to play with the new Leaky Shed Studio ornaments and snowflakes, you're missing out. They are so much fun. 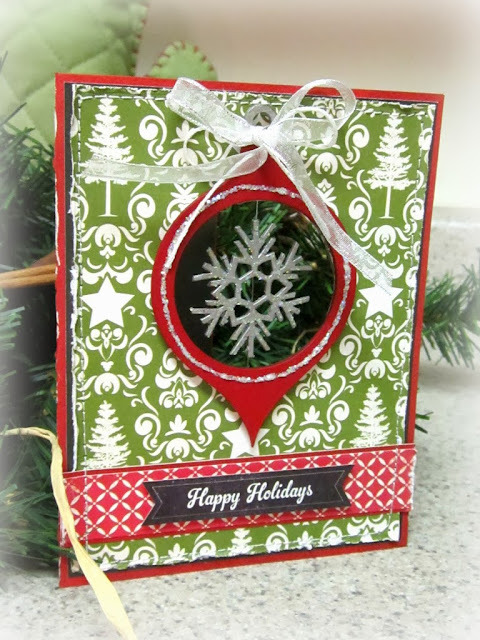 Today I used the Teardrop Frame ornament along with one of the small snowflakes to make a card just for you! Just like Debbie said on Tuesday, I enjoy hand-making my Christmas Cards as well. So.... I made this one for all of you. Whatever you might be celebrating this holiday season, I hope you and yours enjoy each other and all the fun memories that are made this time of year! I used acrylic paints and glitter glue to paint my chipboard. I cut the center out of my card and attached the snowflake with a small string of nylon string so it would twirl when the card was opened. This is gorgeous Kris! I loveeeeeeeeeeee that snowflake!!!! Kris your card is so pretty! !